Optical Dynamics was pleased to meet the team from Advanced EyeCare at the annual Vision Trends meeting. 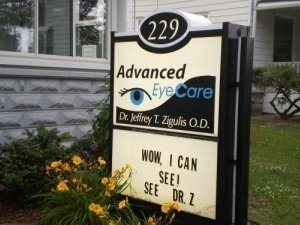 Dr. Zigulis’ staff are avid users of our technology. With two locations he purchased the Q-2100 Digital Lens System and nanoCLEAR AR unit for his business in 2005. As mentioned on the company website, they have a full in-house lab and full dispensary to provide control over quality of products and quick turn around time. The team at Advanced EyeCare is happy to have the technology on-site for improved optics, lens quality and delivery speed.